Delhi High Court JJA Technical Interview Letter 2019 - Government Jobs, Sarkari Naukri, Sarkari Result, Admissions, Rojgar, Exams Alerts. Delhi High Court Junior Judicial Assistant Written Examination Admit Card link will be activated soon. 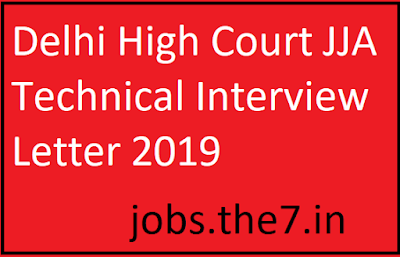 Recently in January, 2019 Delhi High Court has invited Applications for the recruitment of Junior Judicial Assistant Examination.